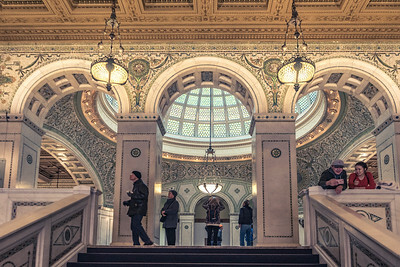 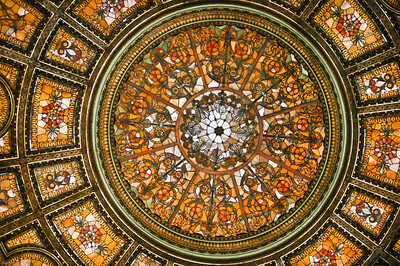 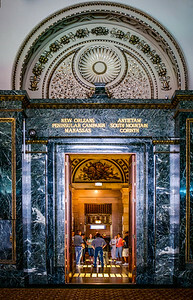 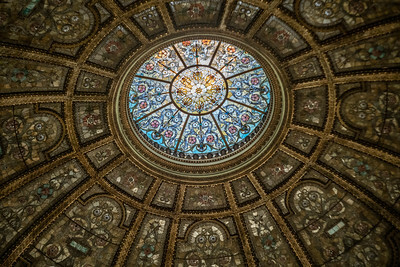 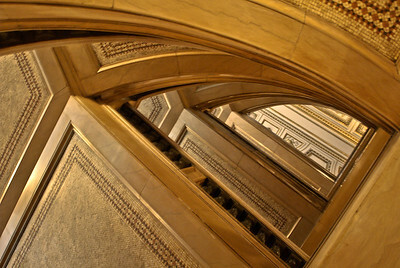 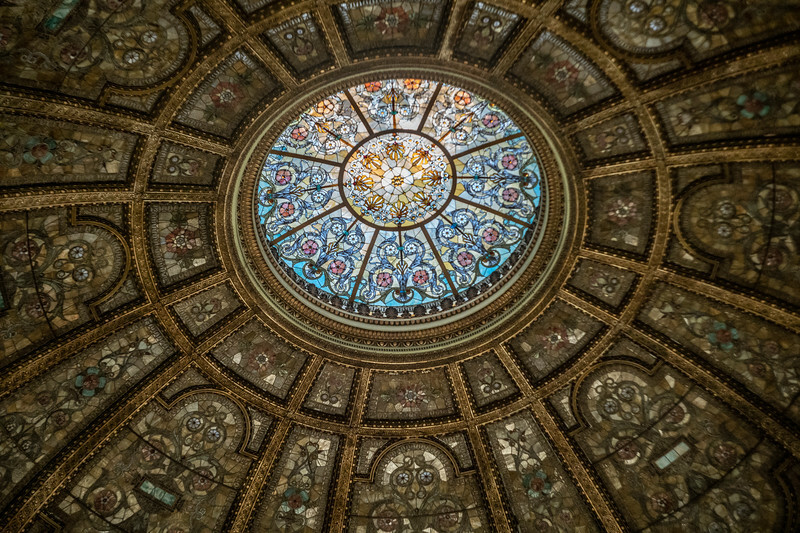 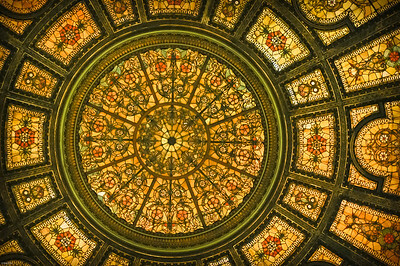 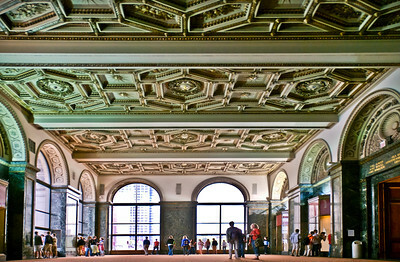 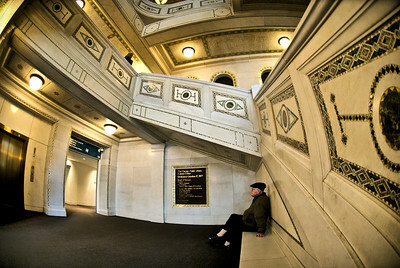 Beneath the Carrera-marble stairs of the Chicago Cultural Center. 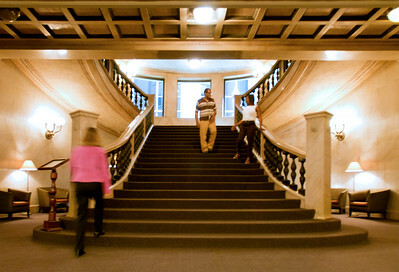 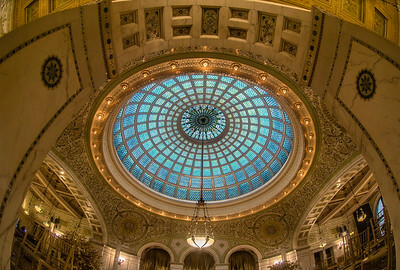 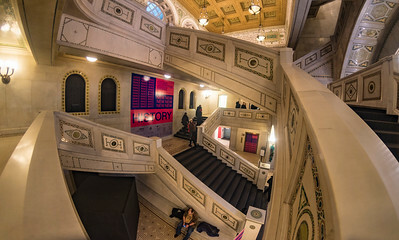 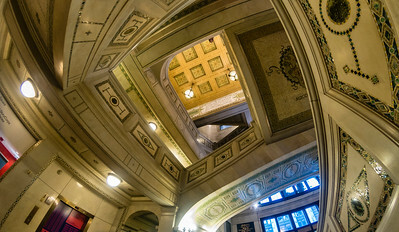 This is the Chicago Cultural Center's staircase on the Washington St. side taken with a fisheye lens. 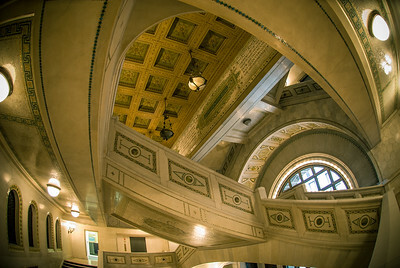 It is made of Carrera marble (the same Italian marble that Michaelangelo worked with). 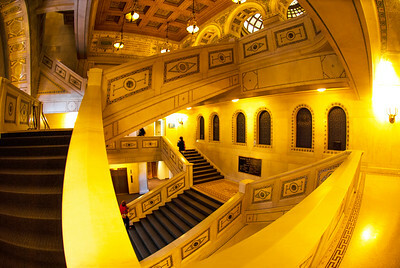 It looks like one of Escher's woodcuts, design wise.